O’pen Skiff (formerly O’Pen Bic) celebrated its 10th birthday in 2016, along with the production of its 8,000th boat. Designed specifically for juniors, our little dinghy has blown a big breath of fresh air through our sailing world, close to the new-generation skiff concept, very fast and very simple. 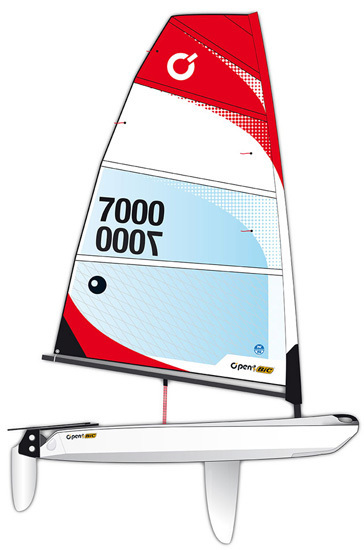 100% open, self-bailing, rapid and responsive, with an up-to-date versatile rig, the O’pen Skiff offers kids a machine that delivers maximum fun while helping them learn the skills and reflexes to enjoy racing on current, high-performance equipment. Hundreds of sailing clubs around the world have opted for the O’pen Skiff, for a new, fun way of teaching sailing to appeal to youngsters attracted to new sail sports. The O’pen Skiff has also ruffled the feathers of the traditional race scene, with race formats and simplified rules that focus more on fun and improvement than just race results. Innovative courses and rules, on-water refereeing, and even freestyle encourage participation and a variety of sailing skills. Some of the national championships offer a totally innovative take on competition sailing. UN Regattas here in America and in Australia are great examples, mixing a cocktail of anything-goes freestyle sessions with classic regatta racing, with the emphasis on fun as well as finesse.